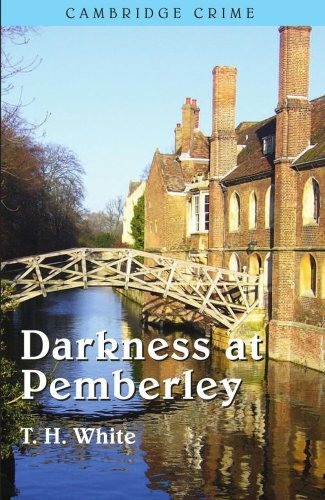 Police Inspector Buller is called upon to investigate two mysterious deaths in a Cambridge College. The Inspector is able to solve the mystery, but cannot find sufficient evidence to convict the clever murderer. The murderer and Buller are reunited when an attempt is made on the life of Inspector Buller’s host Charles Darcy at the country retreat of Pemberley. The story climaxes when it is discovered that the killer is hiding within the network of large chimneys—and he has abducted the hostess into the gloom with him. T H white described the book as a study in claustrophobia and fear.